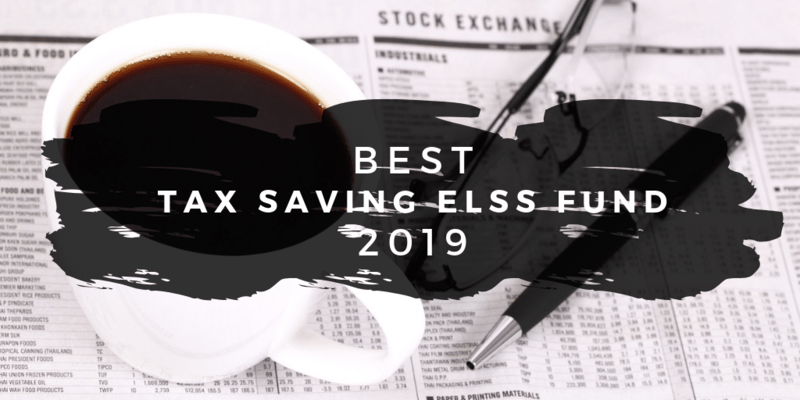 Let me kick off this series with the best ELSS tax saving fund of 2019. What Happens to ELSS Fund Which is Closed and Doesn’t Accept New Investments? 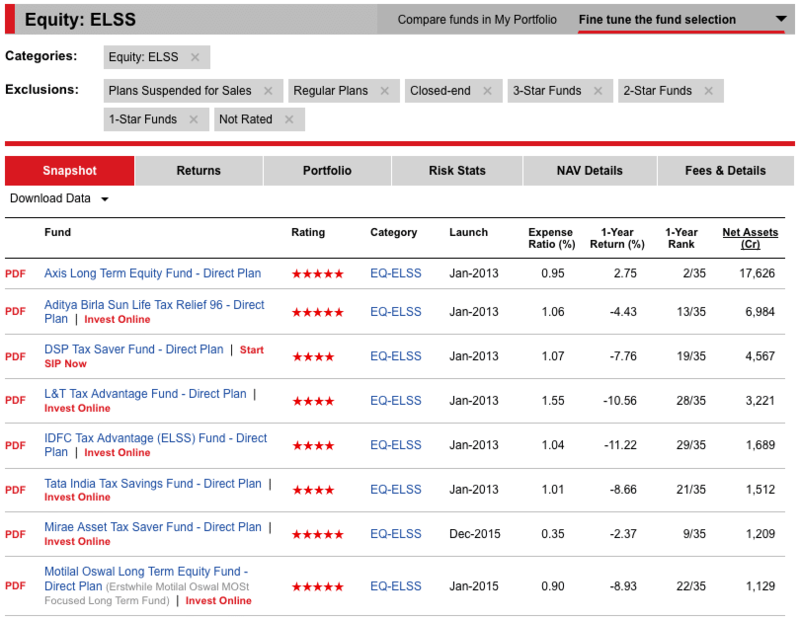 Many fund houses had more than one fund in the Tax saving ELSS fund category. Out of those funds, one of the funds has to stop accepting new investments. Slowly over time with redemptions from an existing investor in the fund will allow the fund house to close the fund. If you have invested in such a fund which isn’t taking new investment, there is nothing to worry. As long as an investor wants, he or she can remain invested with the existing units allocated. But it is recommended to redeem from the funds that aren’t accepting new investment as and when one has a plan for redemption. So how an investor can redeem in ELSS tax saving fund when it has a locking period of 3 years? You won’t be able to redeem. Again, there is no hurry as the units allocated to you will remain and NAV will continue to perform. When the locking period is over, if you redeem and switch to other funds of the same fund house, it is still a redeem and invest. So the investment is a fresh investment for tax saving purpose in that particular financial year in the new fund. I know this is slightly confusing. So let me try to explain this with an example. In March 2016, I invested in Aditya Birla Sun Life Tax Plan. It isn’t accepting new investment. My investment in the fund will remain as long as I don’t redeem. In March of 2019, the fund locking period gets over, and I can redeem. I have plans to withdraw in April, so for the sake of argument assume I am going to do it. Now, I can invest the same amount for tax saving purpose without making any new capital investment. It is a strategy I use To Save Tax Under Section 80C Without Any Investment. Whereas for Aditya Birla Sun Life Tax Relief 96 it is around 7000 Crore. So as the fund has less asset under management, the expense ratio can have an impact. I am not sure if it is the reason for a fund to have a higher expense ratio, but it is indeed the case with few funds. For the Aditya Birla Sun Life Tax Plan, it is way above 2%. For the Aditya Birla Sun Life Tax Relief 96 it is close to 1% in direct funds. So, as an investor, it is a wise decision to switch based on expense ration if one isn’t paying exit load or Long Term Capital Gains Tax. Let us get back to the process of best tax saving fund for 2019. For me, the best fund is the one that has the least expense ratio. The next thing to consider is, in 2019 and beyond, I expect Pharma, IT and FMCG sector to do well. So funds with more exposure to IT, Pharma and FMCG sector. 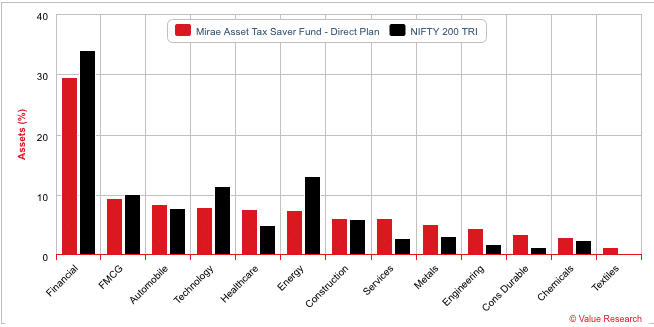 Mirae Asset Tax Saver Fund – Direct has the lowest expense ratio and is the preferred choice of fund for investing in 2019. Because of tighter guidelines for the funds to stick to the benchmark as well as defining the parameters of benchmarking, expense ratio will be one of the critical factors in the fund’s performance going forward. On top of that, it has good exposure to the FMCG sector which I expect to do well in the coming months and years to come. The next best fund is Aditya Birla Sun Life Tax Relief 96 because it aligns to my view of more exposure to the healthcare sector allocation. It was my preferred choice of the fund in 2018 it continues to be part of my best ELSS tax saving fund list. How has The Best ELSS Tax Saving Funds for 2018 Performed? Aditya Birla Sun Life Tax Relief 96: It has been slightly less than the benchmark indices, but it is because the healthcare sector which was expected to perform well in 2018 hasn’t. But I am hopeful it will happen in 2019. Motilal Oswal MOSt Focused Long-Term Fund: It is merged with Motilal Oswal Long-Term Equity Fund now. Hasn’t performed well and has given a negative return for the past year of close to 9%. Though the best 2018 ELSS funds have underperformed, the underperformance hasn’t been very negative in 2018. So going forward, the investment done in 2018 is going to perform in the next couple of years for sure. My choice of fund is not an endorsement that you should invest only in the above mention funds. I have shared the complete process I used to find the best performing ELSS tax saving fund for 2019 which aligns with my views. Feel free to apply your opinions or any other criteria of your choice.